At the convening of the United Nations on September 2017, President Bill Clinton announced the 2018 Hult Prize Challenge: “Harnessing the power of energy to transform the lives of 10 million people by 2025”. Responding to the challenge, over 100,000 students from 1,000 Universities in 100 countries applied to bring their diverse energy-solution startup ideas to the international stage. 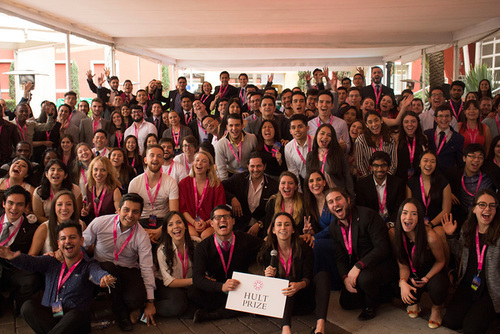 Ultimately, 40 teams will be selected to participate in the incubator at Hult Prize Castle, in Ashridge. Eventually six teams will get the opportunity to pitch their idea during finals at the United Nations, each hoping it will win the $1 million Hult Prize that will enable them to launch their idea. Each year, in addition to getting the prize money, the winning team gets well-deserved publicity for their project. But what is less well known is how much of an impact the experience of competing for the Hult Prize creates. Excited by the ability to create positive global impact, many teams that were eliminated at some point during the competition continue working on their projects, intent upon bringing their ideas to life. UT Dallas SolarCare was one of those teams. Eugene McDermott UT Dallas scholars Nikitha Vicas and Rohit Shenoy began their Hult Prize journey when they ventured from Dallas to travel to New York to attend the UN General assembly as student bloggers representing their school. When they heard Clinton announce the Hult Prize, they were inspired to assemble a team for the competition, with Evan Sun and Benny Rubanov joining later. Bradley Ritschel, UT Dallas’s Campus Director, played a major role in motivating the group in creating a viable product with his demonstrated interest in growing the Hult Prize’s influence on campus. As a Dallas resident and member of the Dallas Entrepreneur Center’s advisory board, I had a special interest in seeing how the students benefited from the Hult experience. The team’s goal was to provide clean, affordable and self-sustaining electricity to areas of the world that couldn’t otherwise afford it. The idea for SolarCare was born out of Rubanov’s research in solar panels and research conducted by the team. It’s goal was to install small, solar farms in rural locations, supplying local areas with reliable electricity to power appliances. 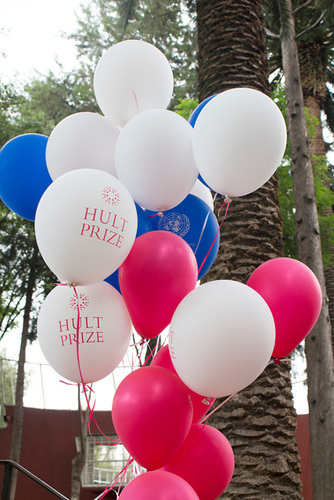 Simply by participating in the Hult Prize Challenge, they became part of an international community. 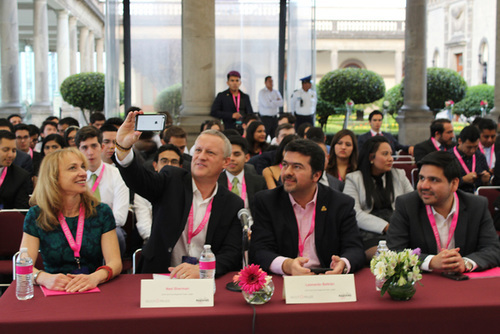 As a Hult Prize judge, I watched them deal with the challenges facing their business. Through their involvement with the competition, the team members gained the experience of being part of an international community determined to drive impact with the exposure to and support of international experts. And it’s ignited a passion in each team member to explore how they can positive impact others in the future. This summer, Nikitha will be in India with the State Department’s Critical Language Scholarship, taking classes in Hindi. Rohit will work in Dallas with Tech Wildcatters, a group that invests in promising startups. Benny plans to be in Argentina working in marketing and consulting, and Evan will be in Washington D.C., working with the HHS Innovation Internship Program. Each of them has clearer sense of who he is and a commitment to living lives of impact all over the world. 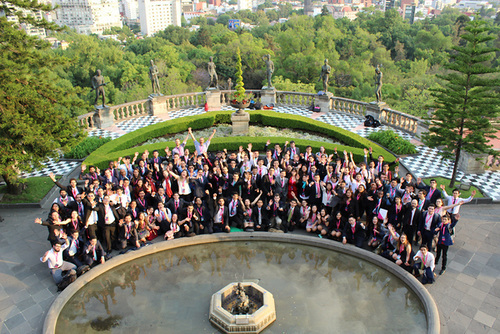 That’s what the Hult Prize does for students- inspiring a new generation of socially conscious, caring entrepreneurs. This entry was posted in Millennials and tagged Ahmad Ashkar, Competition, Dallas, energy, Hult Prize, impact, innnovation, Mexico, Millennials, President Bill Clinton, SherylChamberlain, SolarCare, sustainability, UN, UTD on May 13, 2018 by Sheryl Chamberlain.